At 90plus.com, we are keenly aware of the trust you place in us and our responsibility to protect your privacy. As part of this responsibility, we let you know what information we collect when you use our products and services, why we collect it and how we use it to improve your experience. Sometimes, we may post product specific privacy notices or Help Center materials to explain our products in more detail. • Log information – When you access 90plus.com services via a browser, application or other client our servers automatically record certain information. These server logs may include information such as your web request, your interaction with a service, Internet Protocol address, browser type, browser language, the date and time of your request and one or more cookies that may uniquely identify your browser or your account. • User communications – When you send email or other communications to 90plus.com, we may retain those communications in order to process your inquiries, respond to your requests and improve our services. When you send and receive SMS messages to or from one of our services that provides SMS functionality, we may collect and maintain information associated with those messages, such as the phone number, the wireless carrier associated with the phone number, the content of the message, and the date and time of the transaction. We may use your email address to communicate with you about our services. 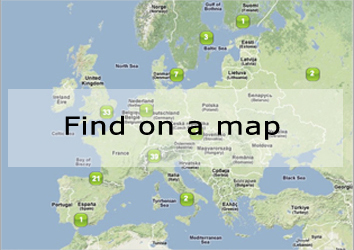 • Location data – 90plus.com offers location-enabled services, such as 90plus.com Maps and Latitude. If you use those services, 90plus.com may receive information about your actual location (such as GPS signals sent by a mobile device) or information that can be used to approximate a location (such as a cell ID). • Unique application number – Certain services, such as 90plus.com Toolbar, include a unique application number that is not associated with your account or you. This number and information about your installation (e.g., operating system type, version number) may be sent to 90plus.com when you install or uninstall that service or when that service periodically contacts our servers (for example, to request automatic updates to the software). • Protect the rights or property of 90plus.com or our users. 90plus.com processes personal information on our servers in Belgium and in other countries. In some cases, we process personal information outside your own country. You can use the 90plus.com dashboard to review and control the information stored in your 90plus.com Account. Most browsers are initially set up to accept cookies, but you can reset your browser to refuse all cookies or to indicate when a cookie is being sent. However, some 90plus.com features and services may not function properly if your cookies are disabled. 90plus.com uses the DoubleClick advertising cookie on AdSense partner sites and certain 90plus.com services to help advertisers and publishers serve and manage ads across the web. You can view and manage your ads preferences associated with this cookie by accessing the Ads Prefernces Manager. In addition, you may choose to opt out of the DoubleClick cookie at any time by using Double click’s opt-out cookie. • We have a good faith belief that access, use, preservation or disclosure of such information is reasonably necessary to (a) satisfy any applicable law, regulation, legal process or enforceable governmental request, (b) enforce applicable Terms of Service, including investigation of potential violations thereof, (c) detect, prevent, or otherwise address fraud, security or technical issues, or (d) protect against harm to the rights, property or safety of 90plus.com, its users or the public as required or permitted by law. We restrict access to personal information to 90plus.com employees, contractors and agents who need to know that information in order to process it on our behalf. These individuals are bound by confidentiality obligations and may be subject to discipline, including termination and criminal prosecution, if they fail to meet these obligations. When you use 90plus.com services, we make good faith efforts to provide you with access to your personal information and either to correct this data if it is inaccurate or to delete such data at your request if it is not otherwise required to be retained by law or for legitimate business purposes. We ask individual users to identify themselves and the information requested to be accessed, corrected or removed before processing such requests, and we may decline to process requests that are unreasonably repetitive or systematic, require disproportionate technical effort, jeopardize the privacy of others, or would be extremely impractical (for instance, requests concerning information residing on backup tapes), or for which access is not otherwise required. In any case where we provide information access and correction, we perform this service free of charge, except if doing so would require a disproportionate effort. Because of the way we maintain certain services, after you delete your information, residual copies may take a period of time before they are deleted from our active servers and may remain in our backup systems. Please review the service Help Centers for more information.